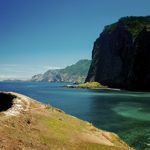 Madeira has cast off its fuddy-duddy image and offers everything from extreme sports to extreme natural beauty. Quintas are Madeiran manor houses converted into boutique hotels in a garden setting. Expect spa treatments, horse riding, golf, levada walks and whale watching. A great short-haul option with year-round sunshine. The Portuguese island of Madeira is a romantic gem with year-round sunshine – and it’s less than a four-hour flight away. There is no shortage of year-round activities for couples to enjoy – climb to the top of Cabo Girao for amazing views (the second highest peak in Europe), visit the Farmer’s Market in Funchal (best on Friday morning), wander around the Rose Garden in Arco de Sao Jorge, go levada walking and whale-watching and indulge in afternoon tea at Belmond Reid’s Palace. There’s canyoning, big game fishing, paragliding and scuba diving if you’re feeling energetic. 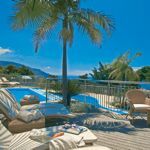 As specialists, we offer a wide range of luxury hotels – choose from prime positions in the island’s charming capital of Funchal, countryside and coastal locations and, our favourite choices for honeymooners, historic Quintas. 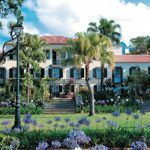 These 19th century manor houses have been carefully converted into some of the island’s finest boutique hotels, filled with antiques and country-house charm. All relatively small in size, these four and five-star hotels are each set in a secluded location with lush tropical gardens. Each places an emphasis on high quality dining, with impressive restaurants offering gourmet food including local products. 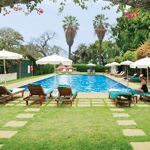 Most offer a range of other facilities including spas, lounges with fireplaces, wine cellars, pools, gardens and games rooms. We’ll help you find the perfect choice to suit you – check out Quinta da Bela Vista and Quinta da Casa Branco, for example. Other top recommendations for honeymooners are the famed luxury of Belmond Reid’s Palace and the Art Nouveau Porto Bay Serra Golf, just a five minute walk from a superb golf course. Non-stop flights are available from 12 UK airports. See our full range of honeymoons in Madeira and our latest special offers.